Norovirus, a nasty gastrointestinal "stomach flu-like"-causing organism, is the most common cause of gastrointestinal stomach "bugs." Each year, it causes 19-21 million illnesses and contributes to 56,000-71,000 hospitalizations and 570-800 deaths. It leads to 1.7–1.9 million outpatient visits and 400,000 emergency department visits (primarily in young children) annually. Norovirus is also the most common cause of foodborne-disease outbreaks in the United States. This virus is responsible for large outbreaks in healthcare facilities, particularly long-term care, including nursing homes. It is also now being referred to as the "cruise ship virus." While the illness is usually self-limiting, it causes intense vomiting and/or diarrhea for 24-48 hours, with resultant severe dehydration. The young and elderly have the highest risk of catching the virus, mainly due to dehydration and electrolyte imbalance. 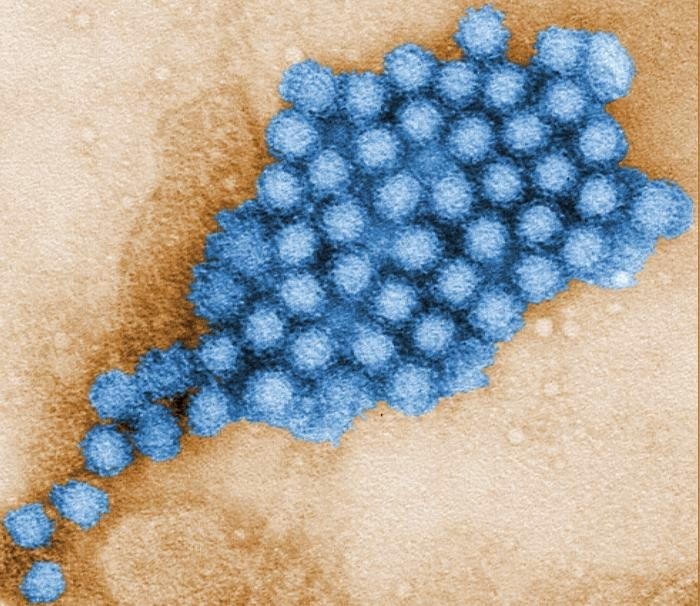 The challenge with norovirus, like so many other organisms, is its ability to mutate and result in severe strains that create more acute symptoms. People have described the illness as "feeling like they were dying." Vaccines have been a challenge due to the "antigenic diversity." However, a recent publication shows promising preliminary results in combating the norovirus. According to a Healio report on a new study published in PLOS Medicine, "Researchers from the University of North Carolina have found that an investigational multivalent norovirus vaccine elicited an antibody response in sera from 10 volunteers. There were cross-reactive IgG increases for GII.4 strains not included in the vaccine and not in circulation at the time of vaccination or sample collection." These results indicate that a vaccine to norovirus may be available in the future. The study was conducted by researchers at The University of North Carolina at Chapel Hill, in collaboration with Takeda, a vaccine manufacturer.